The excellent Monsters in the Movies: 100 Years of Cinematic Nightmares from Publisher DK was originally released back in 2011. 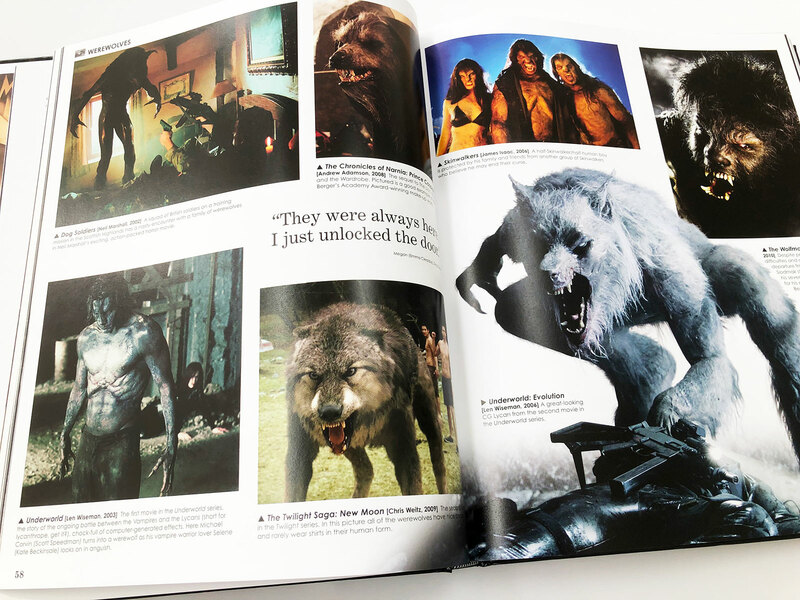 We love horror movie books, especially when they’re packed full of photographs and movie stills of iconic monsters, creatures and beasts. Director John Landis (American Werewolf in London) presents this huge collection of cinematic monsters, spanning a century of horror movies and films. From B-movies, outer space-oddities and big-budget terrors – the greatest monsters ever to creep, fly, slither, stalk or rampage across the movie screen are presented here. The horror film maestro John Landis looks into the background of the archetypal monsters that feature on screen including voracious vampires, flesh-eating zombies and slavering werewolves. 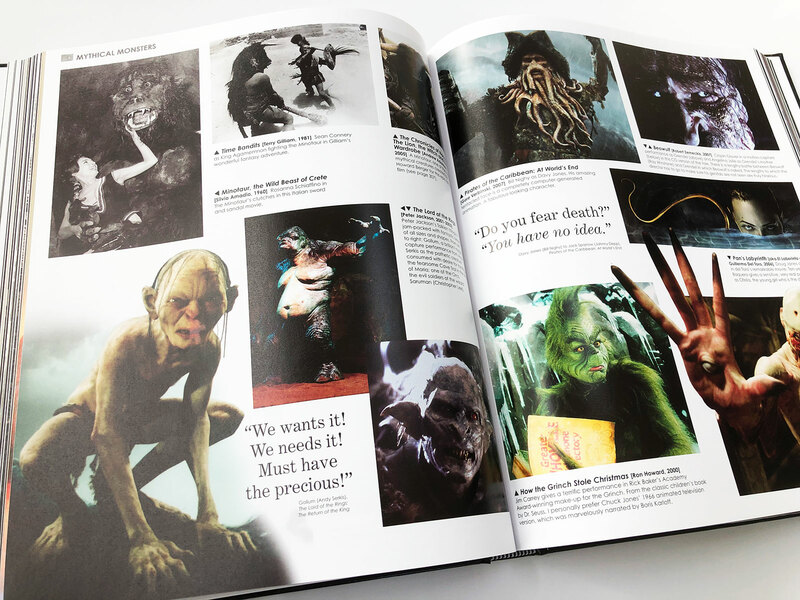 The book also includes fascinating insights into the world of horror movie-making along with contributions from some of the world’s leading directors, actors and special-effects wizards. 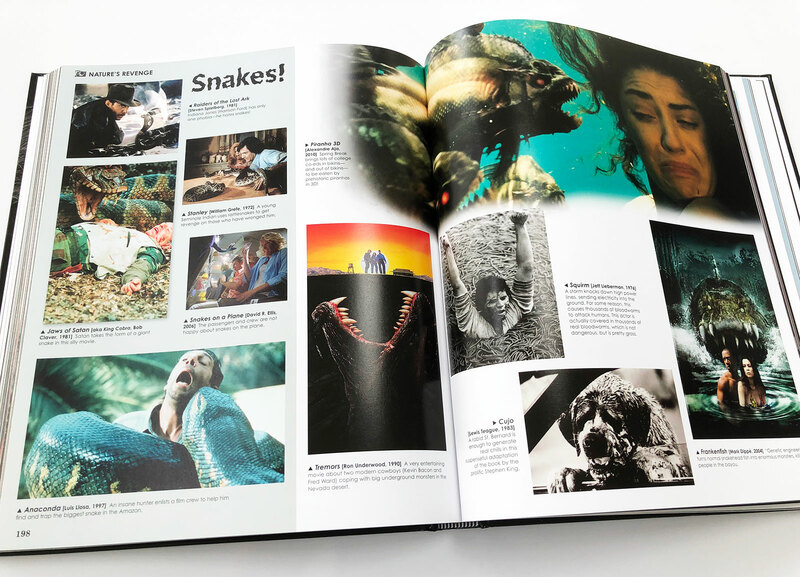 Monsters in the Movies: 100 Years of Cinematic Nightmares is the perfect coffee table book, it’s a large format, hard backed publication with 320 pages and thousands of horror movie posters, photographs and stills. We love books we can randomly dip into and this booked is packed with details and glorious horror themed imagery. If you’re a lover of classic and ‘not so classic’ horror movies and monsters, we highly recommend you grab a copy for your collection. For a closer look inside please check out our 4K book video feature above. You’ll be pleased to know brand new copies of Monsters in the Movies: 100 Years of Cinematic Nightmares are still available on Amazon UK and Amazon.com.